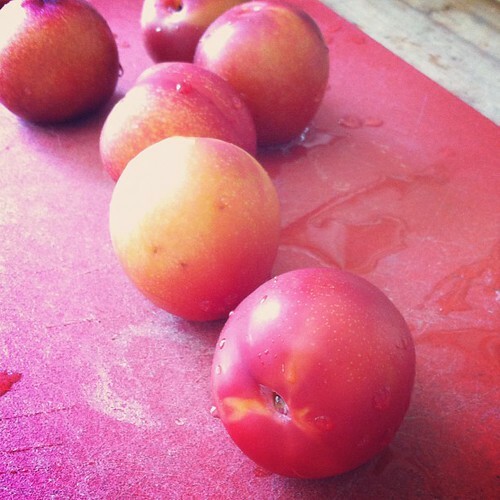 Have six plums ripening on your kitchen counter? I did. So, I preheated the oven to 375 degrees F. And this recipe seriously took me 5 minutes to prepare. Then slice into 1-inch pieces and place in a rimmed baking dish. I used a glass loaf pan. 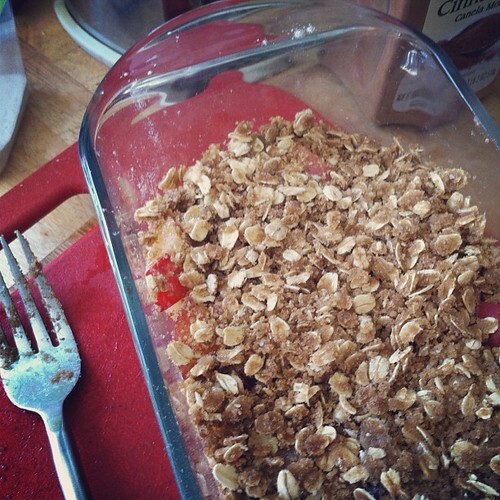 Mix together a topping combining 1/2 cup rolled oats, 1/4 cup whole wheat flour, 1/4 cup olive oil, 1/4 cup dark brown sugar, and a pinch of salt. 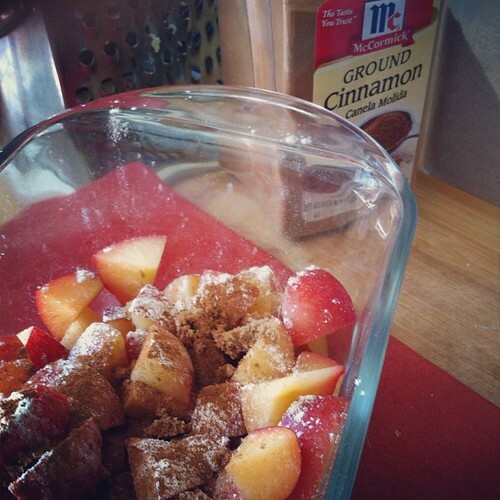 Then toss the plums in 1 or 2 tablespoons of both whole wheat flour and brown sugar. 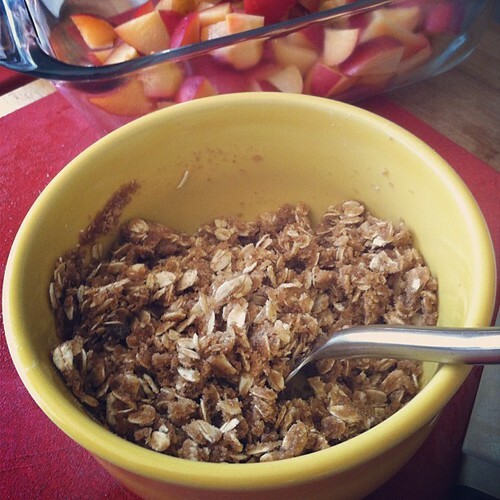 Add a dash or three of cinnamon for good measure. Make sure the fruit is spread evenly, then top with topping. 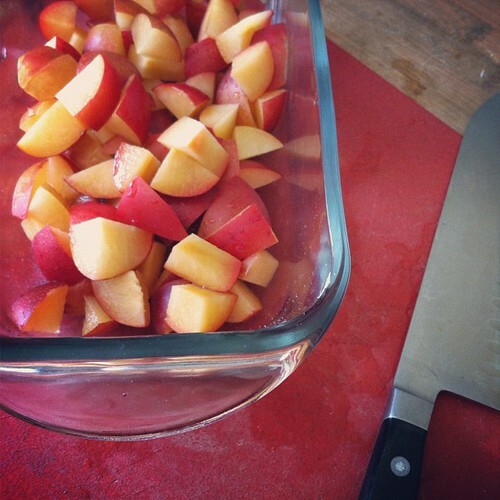 Bake for 30 to 40 minutes -- until topping is browned and fruit is softened. Enjoy right out of the oven or even cold from the fridge. I love fruit crisps. Actually, it's the only fruit dessert I enjoy. 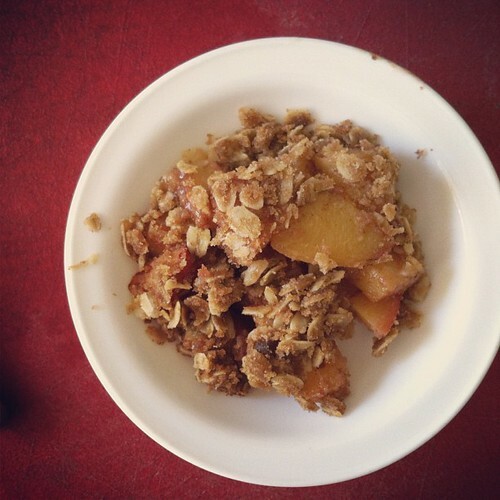 Apple crisp, specifically. I had never used plums before today -- but they worked beautifully. What's your favorite fruit dessert? Also, I'm going to start posting Insta-Desserts from time to time. Fast to prepare and bake desserts that I live-post on Instagram. If you aren't following already, please find us @neverhomemaker.